After travelling through time in Shadow of Night, the second book in Deborah Harkness's enchanting series, historian and witch Diana Bishop and vampire scientist Matthew Clairmont return to the present to face new crises and old enemies. At Matthew's ancestral home in France they reunite with their families - with one heart-breaking exception. But the real threat to their future is yet to be revealed, and when it is, the search for the elusive manuscript Ashmole 782 and its missing pages takes on a terrifying urgency. Using ancient knowledge and modern science, from the palaces of Venice and beyond, Diana and Matthew will finally learn what the witches discovered so many centuries ago. 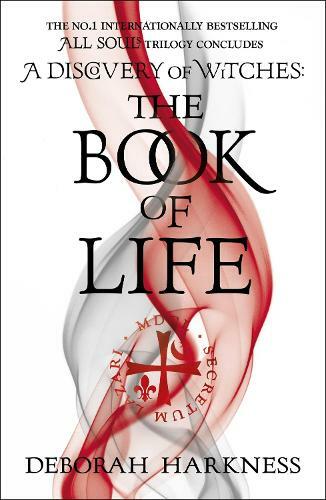 In 2011, the respected American scholar and historian Deborah Harkness exchanged fact for fiction and the All Souls trilogy was born. Beginning with the instant bestseller A Discovery of Witches, Harkness fused her passions for history, alchemy and the occult into the tale of a sometime witch and historian who stumbles into a universe of vampires and immortals. Rapidly, the series included the sequels Shadow of Night and The Book of Life and has now been adapted for television. Her much-anticipated 2018 novel Time's Convert effortlessly expands on the All Souls universe. Was given an advance copy by the lovely people of Headline. Flawless, Beautiful, Outstanding, Perfection... are but 4 words of many that can be used to describe this book.